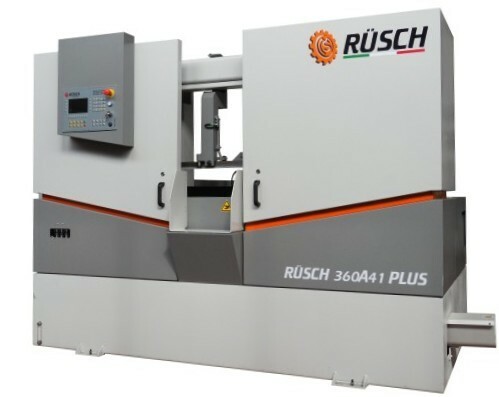 Automatic band sawing machine for straight cuts. Twin column on sliding guide rails. Cutting capacity 360 x 360mm construction steels , alloys and stainless steels, profiles and solid. 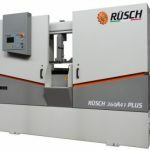 RÜSCH® advanced numerical control with two-axis closed-loop. Hydraulic oil pump shut down when machine left idle.